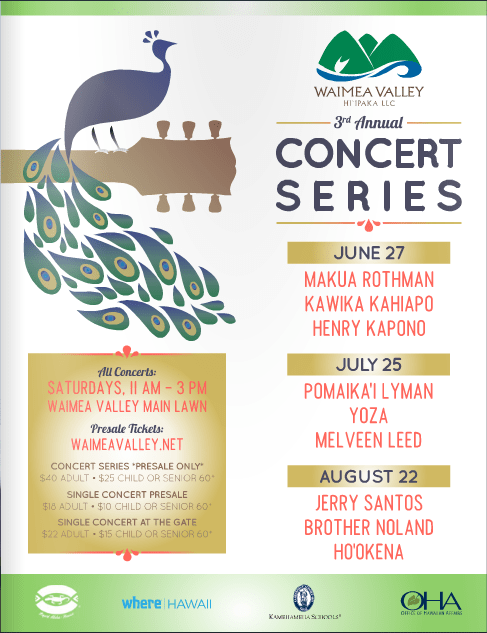 The 3rd Annual Waimea Valley Concert Series consists of one concert every month from June to August at the beautiful Waimea Valley. Get your concert pre-sale tickets and save, or pay at the door. Don’t miss this great event.